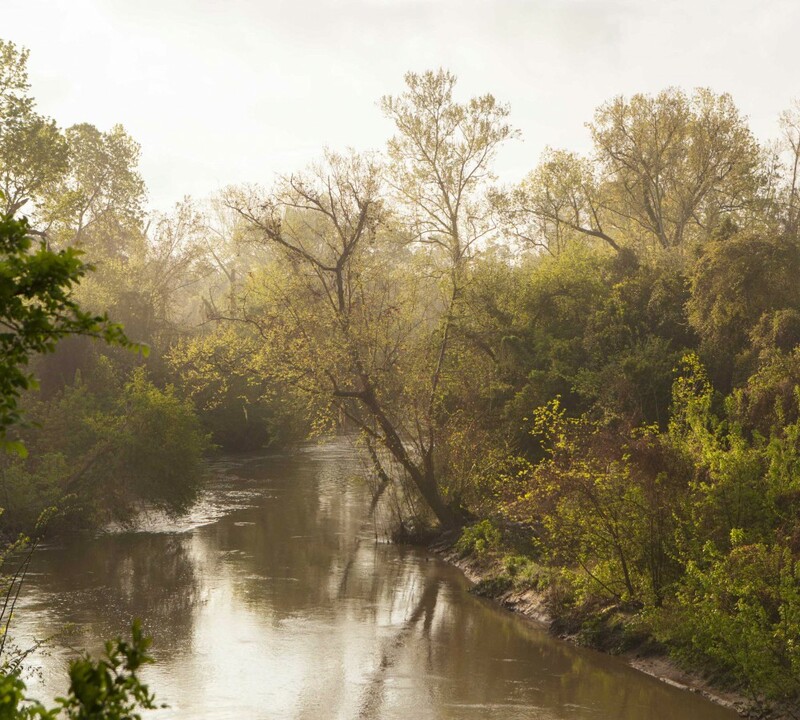 These lovely photographs document the changes in the seasons on Buffalo Bayou, and in the dynamic river itself. 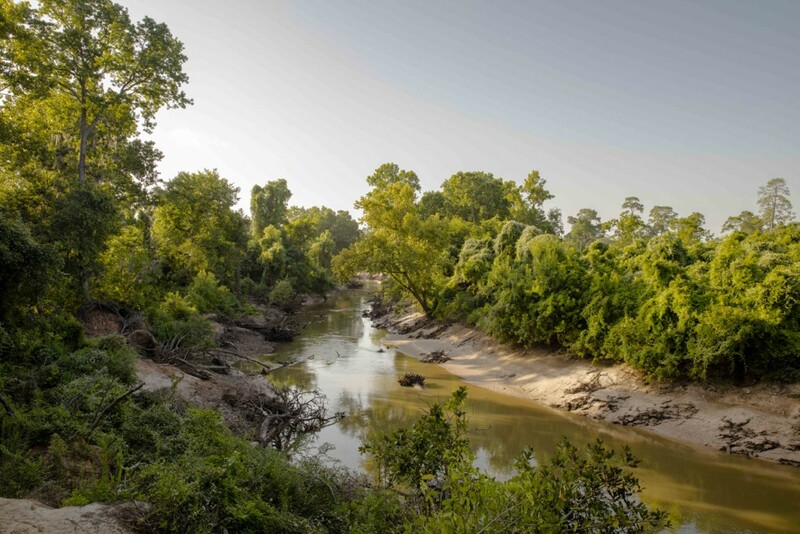 Taken (with a few exceptions) by Houston photographer Jim Olive, they were shot from the same high bank in Memorial Park looking downstream with the River Oaks Country Club on the right. 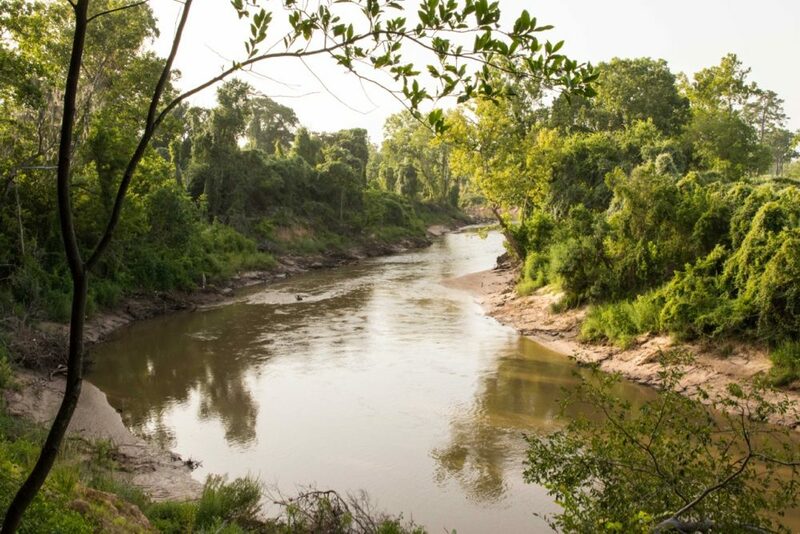 This bend in the bayou was in the stretch proposed for destruction and “restoration” by the Harris County Flood Control District and the Bayou Preservation Association, with the support of the Memorial Park Conservancy and the City of Houston. This first summer photo was taken by Susan Chadwick in July 2014. 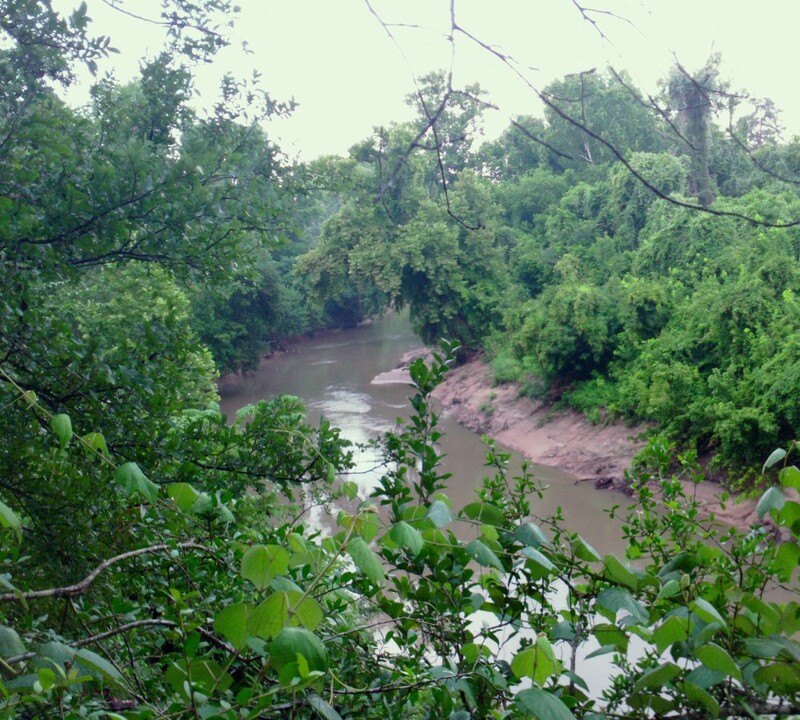 Proponents of Flood Control's destruction/restoration project claimed there was no overhanging tree canopy in the area. River Oaks Country Club on the right. 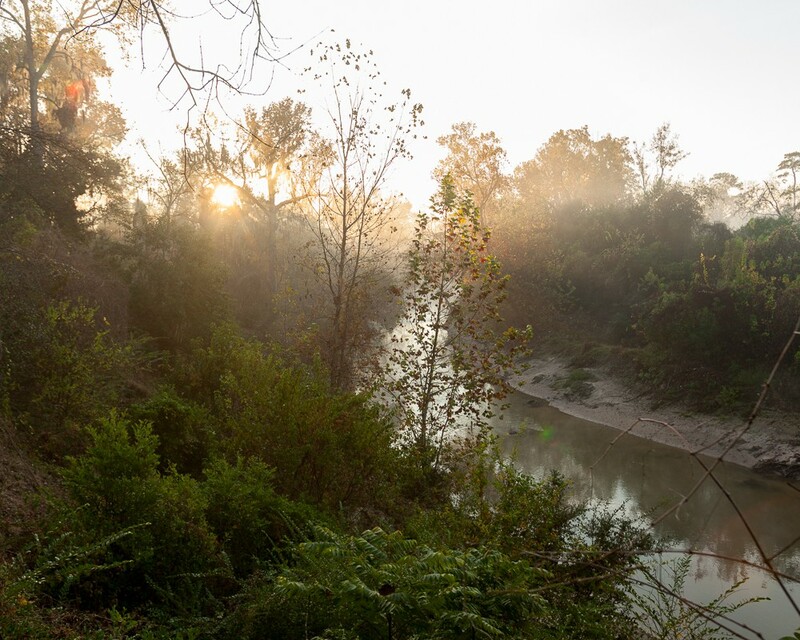 Late fall at sunrise from the same bend of Buffalo Bayou. 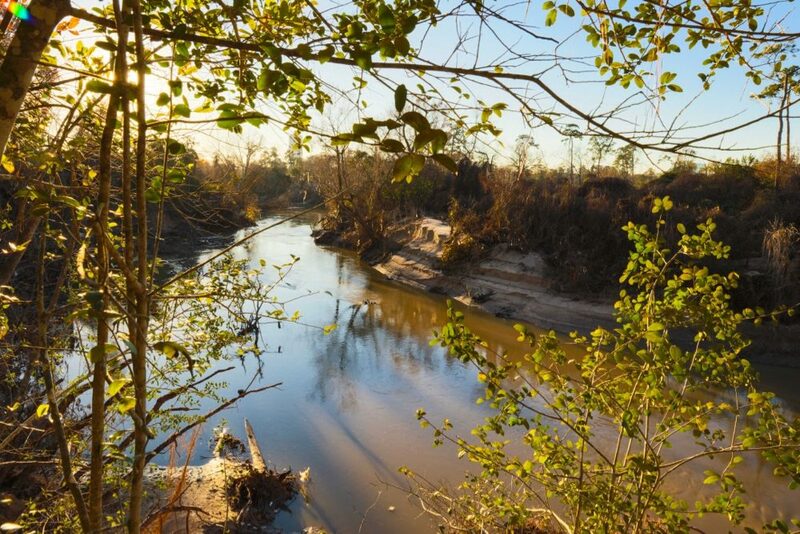 Taken on Dec. 9, 2014, by Jim Olive from Memorial Park looking downstream. 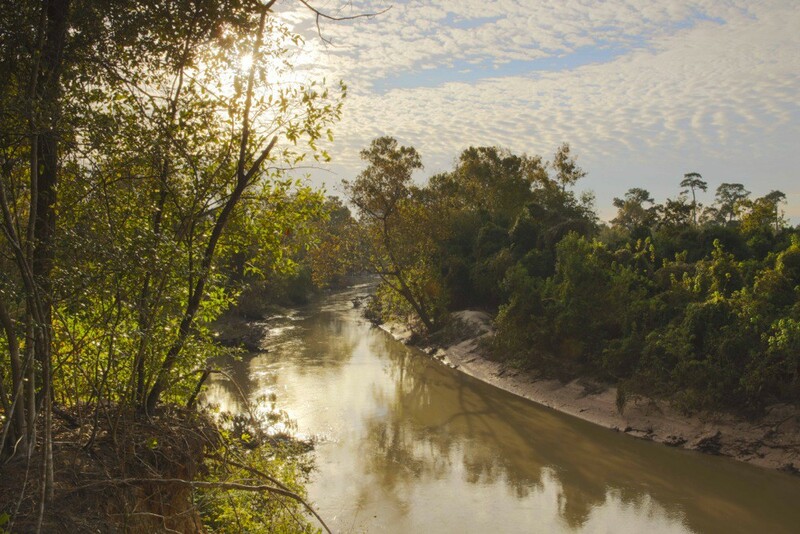 Early spring on Buffalo Bayou at high water. Photo by Jim Olive on March 25, 2015. 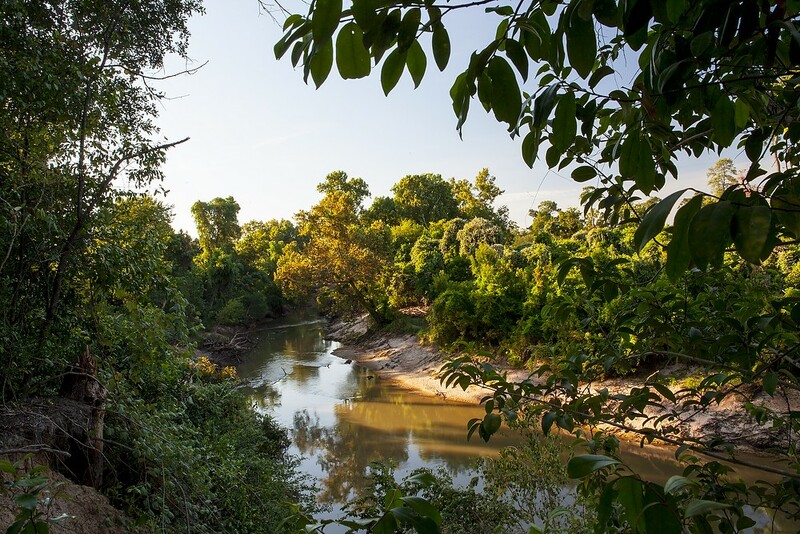 Summertime view of the same bend in Buffalo Bayou from Memorial Park on August 1, 2015. 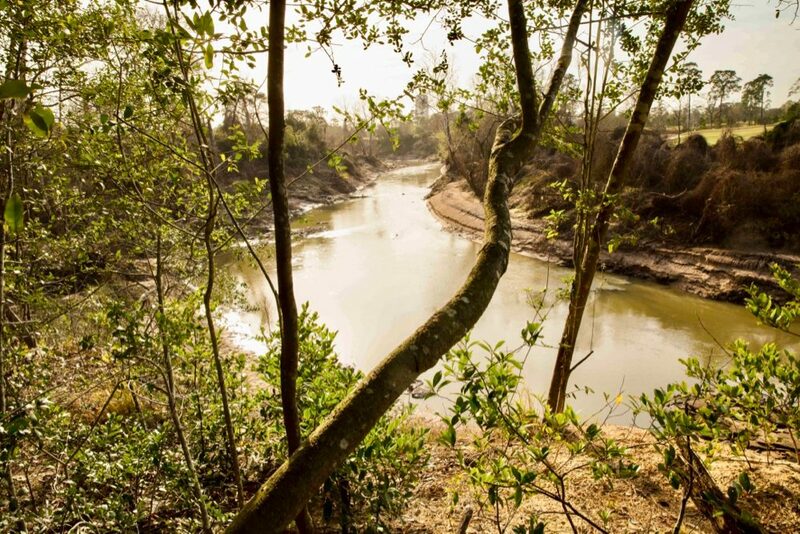 Photo at low water (base flow) by Jim Olive. 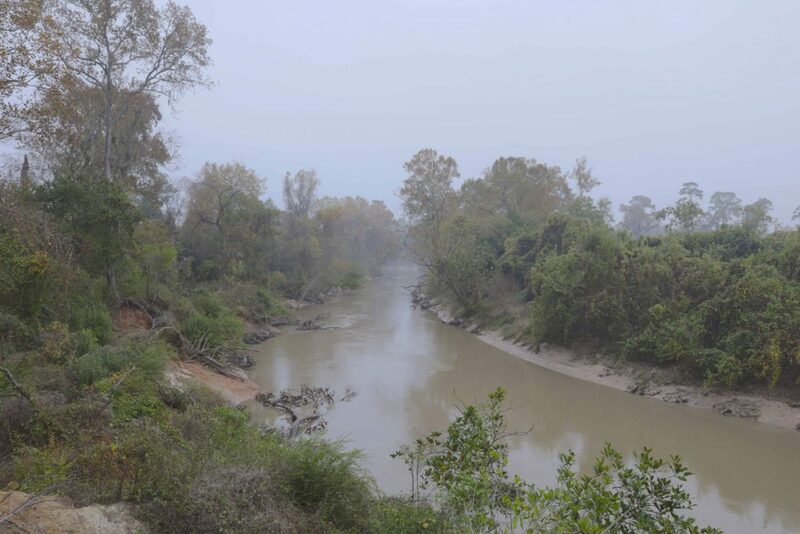 Looking at Buffalo Bayou from Memorial Park from the same high bluff on Nov. 24, 2015. Photo by Jim Olive. 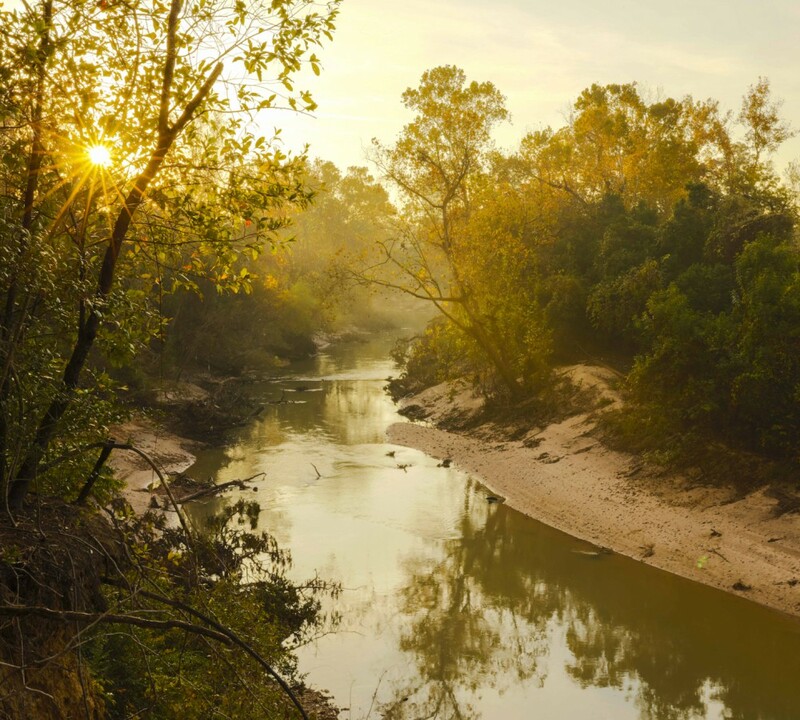 Sun rising over a bend of Buffalo Bayou at low water on Dec. 10, 2015. 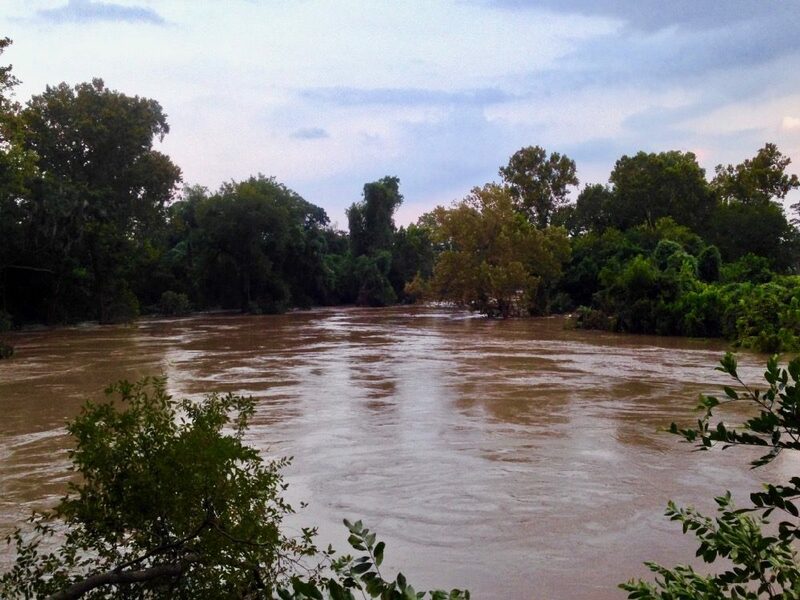 Photo taken by Jim Olive from a high bluff in Memorial Park looking downstream with the River Oaks Country Club on the right. Early morning at high water on March 21, 2016, the day after the vernal equinox. 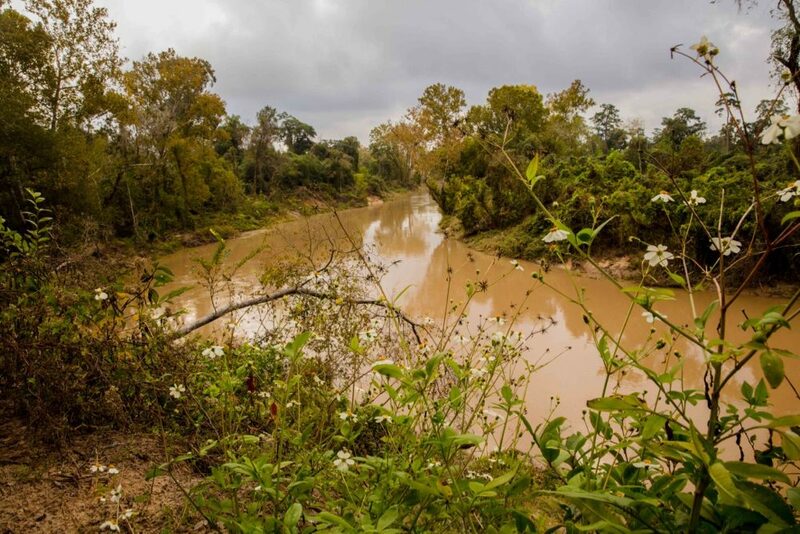 The dams in west Houston were open, and water was flowing from the reservoirs at 2,000 cubic feet per second. 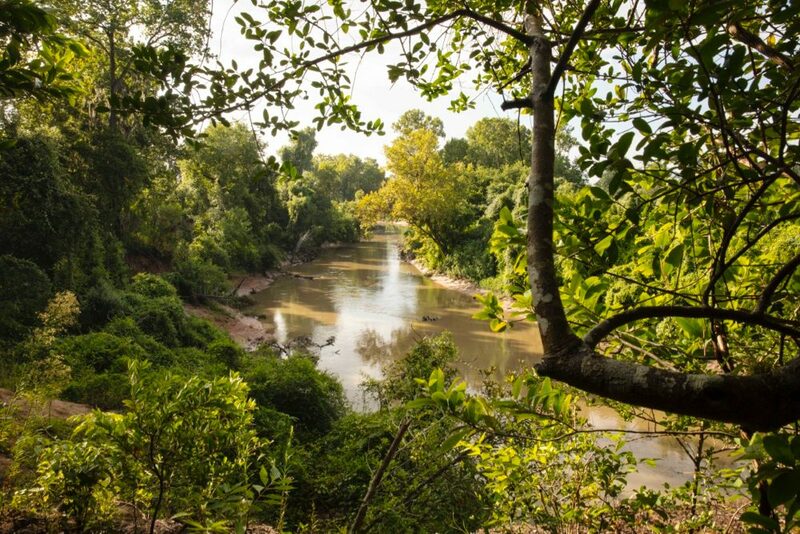 Photo by Jim Olive, of course, from a high bluff in Memorial Park. River Oaks Country Club on the right. 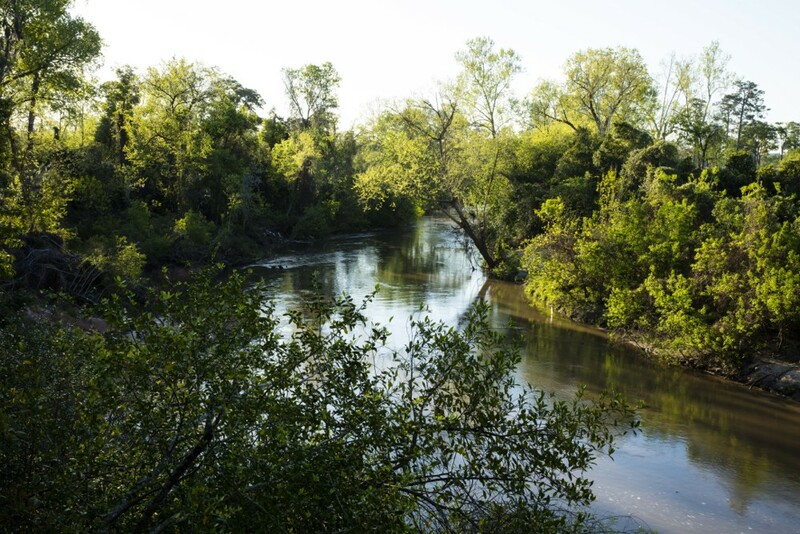 Spring 2017, shot by Jim Olive on the morning of March 18 from Memorial Park with birds singing, frogs burping, squirrels quarreling, and warm air drifting up the high bank from the river at low flow. Summer 2017. 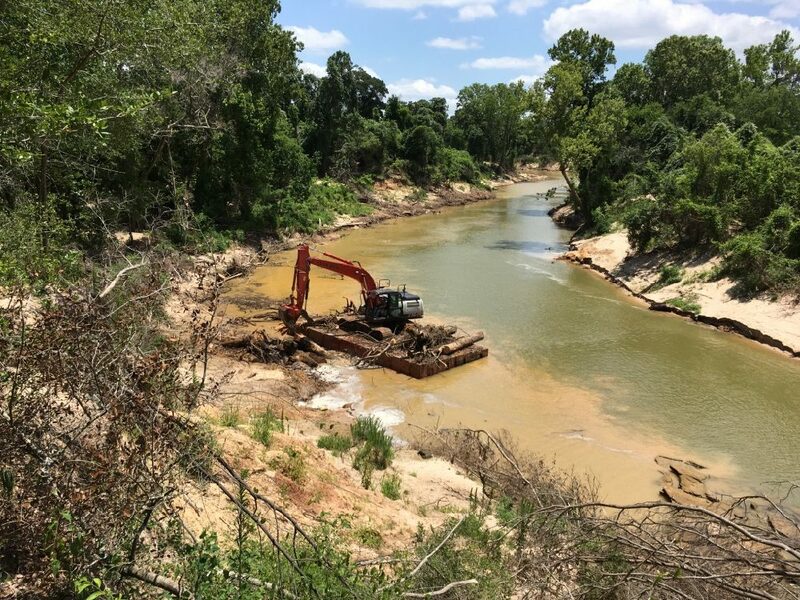 Flow was about 500 cubic feet per second after a nighttime storm on the morning of July 10, 2017. Slumped bank was healing. Frogs were a courting. Photo by Jim Olive. 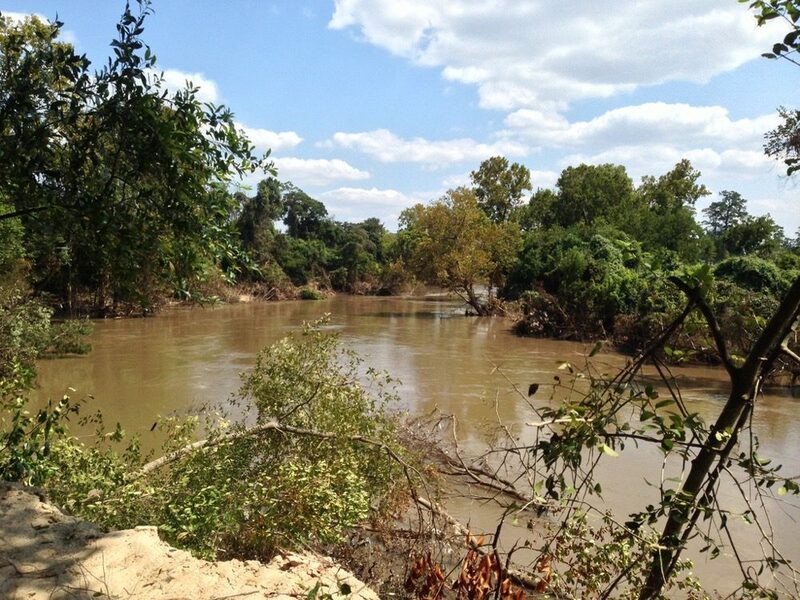 The bend in the river on Sept. 11, 2017, around 2:30 p.m. as the floodwaters from Harvey were slowly draining. Flow was about 7,000 cubic feet per second, down from at least twice that. Photo by SC because Jim Olive was flying around taking photos of disastrous flooding all over the Gulf. Winter photo by Jim Olive on Jan 13, 2018. Flow was about 600 cubic feet per second. Temperature was a chilly 34 degrees shortly after sunrise about 7:30 a.m. 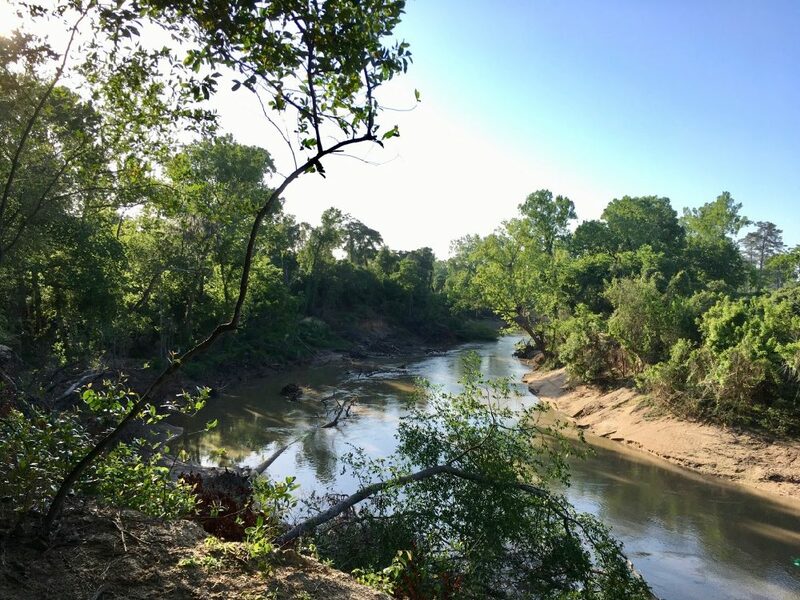 The banks were much changed after the floodwaters of Harvey, with lots of slumping, fallen trees and missing vegetation. We could hardly find our spot. Note the buildup of sediment on the opposite bank. 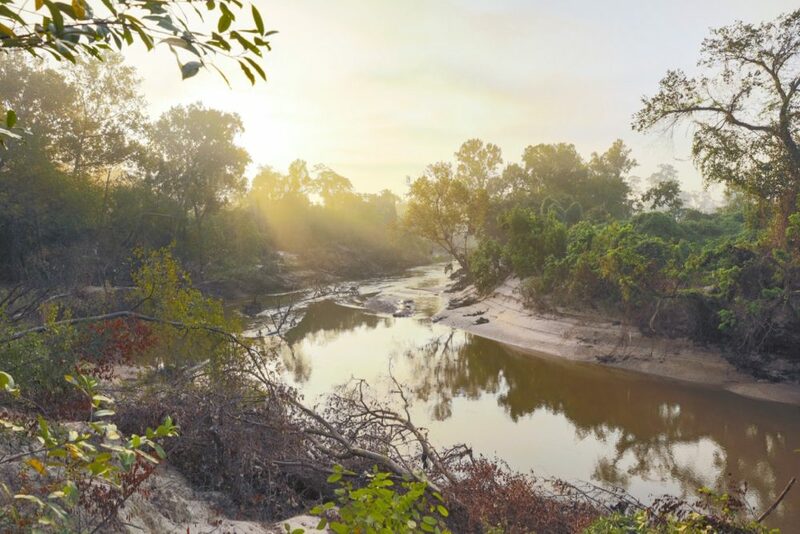 Fall 2018 on that bend in the bayou. Water was high and the morning was cloudy just after sunrise. Photo by Jim Olive on Nov. 6, 2018. There was a monarch butterfly feeding on the daisies but it fluttered away to Mexico.